As a web designer, I have the strong tendency to look for inspiration whenever I engage in the very tedious nature of web designing. I must admit that there are times when I feel sluggish and cannot fully concentrate on my current projects and endeavors. To boost my imagination and activate my creative juices, I usually look at the lives of great people, and there is no greater source of inspiration other than former U.S. President Abraham Lincoln. A brief background of Lincoln provides an initial understanding of a great man whose exemplary qualities could inspire ordinary people. He was a statesman and lawyer who served as the 16th President of the U.S. from March 1861 until his assassination in April 1865. He was famously known to have led and preserved the Union through the American Civil War, which ultimately resulted in the abolition of slavery, strengthen the federal government, and boosted the economy. You might wonder why I chose Lincoln as my model for a great website designer. 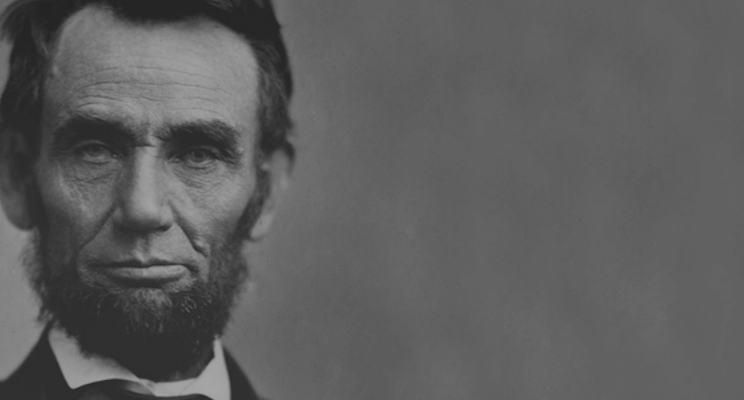 You might ask, “What does Lincoln have to do with the contemporary skill of website designing? Exemplary habits and behavior are timeless and their relevance to people and society go beyond the moment they were exhibited and conceived. Without further fanfare, here are character qualities so famously attributed to Lincoln. 1. He was a learner. Lincoln was not born with these exemplary character virtues. He honed, practiced, and developed them on a daily basis. He was not a perfect individual as he possessed human flaws and committed many mistakes in his life, but he learned to compensate for his own personal shortcomings through constant practice and diligent effort. The love of learning is important in web designing as technology continues to evolve. 2. He was a listener. Lincoln was described by California Senator Cornelius Cole as a good listener which reflected his friendly feeling for all. Although he was argumentative, he was never dictatorial and was never offensively opinionated. Listening is an important communication skill that web designers should emulate as projects and tasks sometimes need to be changed and revised. Websites are complex projects and a designer needs to be good in collaboration. 3. He was decisive and proactive. Lincoln led the United States in a period wherein the nation faced the most challenging threat to its existence. He absolutely knew that inaction would inevitably result in the breakup of the Union. Despite the full understanding that war would result in deaths and devastation, he declared war on the Confederate States of America to ensure the preservation of the Union. There are times that web designers, even the most experienced developers, are stacked with a bug, which requires an immediate action. 4. He was a realist, not an egotist. Lincoln correctly assessed and predicted that he was not going to be reelected to the Senate at the end of the 1858 campaign. This is a concrete evidence that he did not let his ego get in the way of his judgment. This virtue applies to web designers who need to identify their target customers’ feelings and opinions about a web design project. Lincoln attracted friends of all ages due to his almost faultless character. He was known to have possessed a warm and genial heart and courteous to his friends and opponents. Web designers are encouraged to possess integrity and a passion for their work. Clients prefer someone that they can talk to comfortably. A web design project entails a long working relationship between the designer and the client and it pays to get along with each other well. Abraham Lincoln occupies a special place in my heart and in peoples’ collective memory as he displayed exemplar virtues that rival religious figures. Despite his being among the great individuals that the United States had, he had human flaws that he struggled to rectify and eventually overcame through constant practice and diligent effort. Same is true with web design which requires continuous learning and practice as technology continues to evolve. Web designing is a complex and a challenging task that requires certain qualities like the ones attributed to Abraham Lincoln.